Now you get to enjoy the fun part: showing off the results of your hard work while getting a suntan. There's no reason to outsource your lawn mowing if you purchase the proper equipment for your own use. Check out the chart below to see the basic differences, and continue reading to learn more about the benefits of each type. Walk-behind mowers are the most budget-friendly and environmentally-geared lawn mowers you'll find. They're easy to store due to their small size, making them a great option for many homeowners. No matter why they appeal to you, you're sure to find one to meet your needs. If you've got a larger property, or if you need to avoid long periods of walking and standing, a riding lawnmower is a terrific choice. 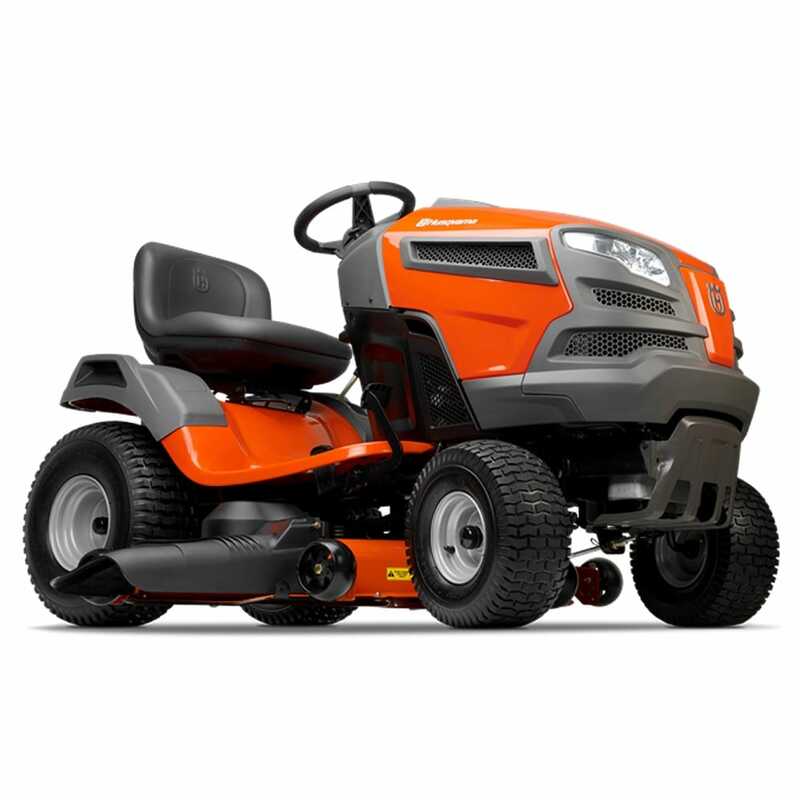 With cutting widths ranging from 26 inches to 66 inches, riding mowers allow you to cut a lot of grass in a little time. They're essentially small vehicles, so be prepared to perform regular maintenance throughout the year and set aside some storage space in your garage come winter. However, the power they offer can't be beat. Whether you're mowing the fairways of a golf course or taming the wild brambles of an overgrown field, a tow-behind mower is the perfect companion to your ATV or tractor. 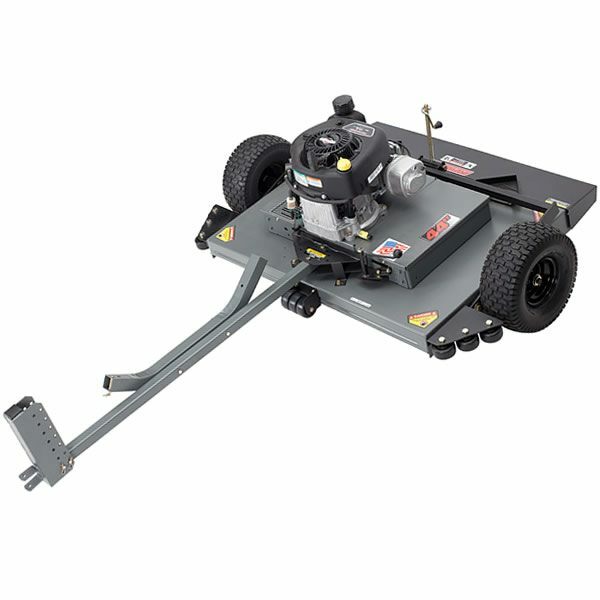 Because they don't propel themselves and need to be connected to a riding mower or other vehicle, tow-behind mowers are a top choice for commercial landscapers and professional users who already own large pieces of lawn care equipment. However, anyone who has large swaths of tall grass or even small saplings to clear will get a lot of mileage out of a tow-behind mower. 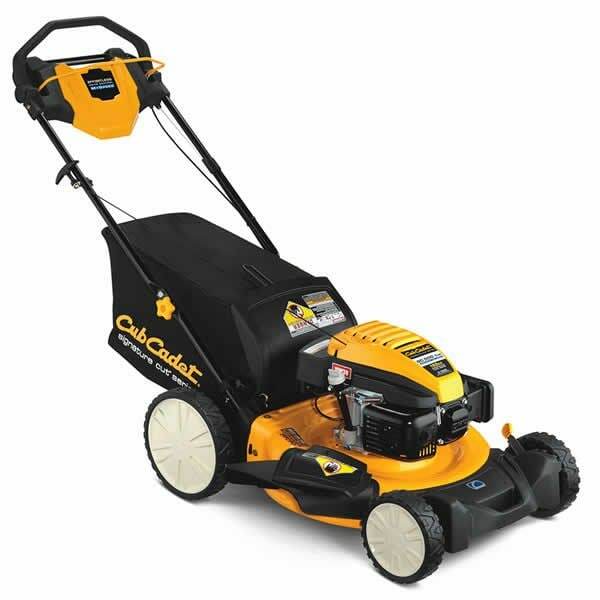 Lawn Mower Buyer's Guide.. Our Power Equipment Direct how-to library can help you learn about How to Fertilize Your Lawn, Vote for Your Favorite Brands in Mower Madness 2019 and Official Mower Madness Contest Rules.